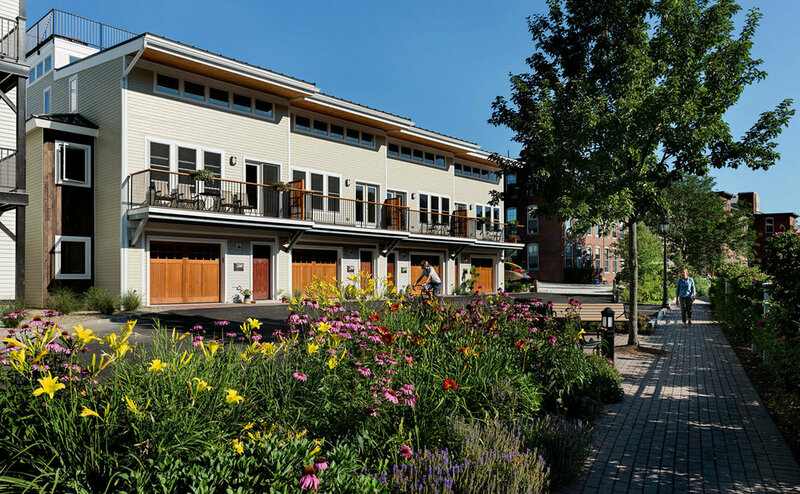 Located on Newmarket's historic waterfront, this urban renewal project involved the construction of four high-performance townhomes. 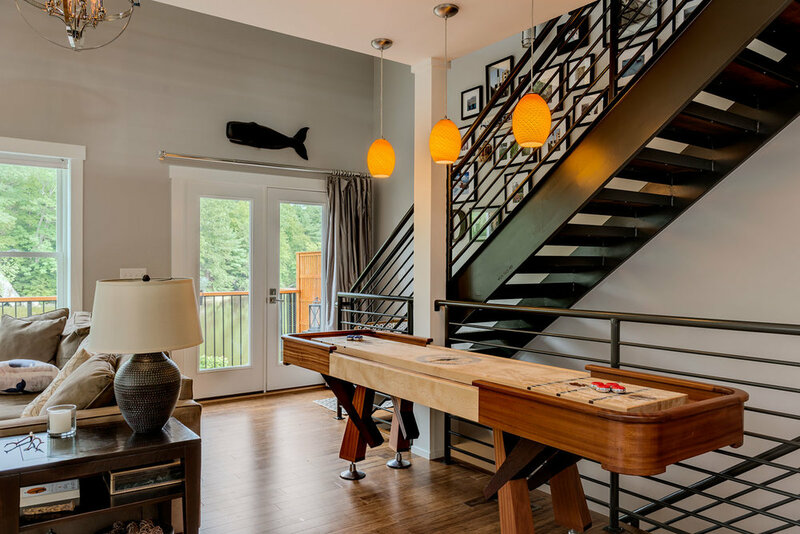 These modern homes reflect the best in high-performance and green building practices. Geothermal heating and cooling, energy-recovery ventilation systems, vegetated rooftop patios, reclaimed wood, and efficient layouts are just a few of the elements that define modern sustainable design. These waterfront homes boast a 90-foot dock with access to Portmsouth and beyond. Walkable to all of Newmarket's local treasures including restaurants, breweries, and yoga; they afford an urban lifestyle on a modest budget. As evidenced by the low energy usage, these ENERGY STAR Certified homes are extremely efficient and low-maintenance.